Welcome to quality and service in top. At Glostrup Park Hotel we take pride in meeting the requirements expected from a hotel of high standard with many return guests. As a guest, you will immediately sense the international yet relaxed atmosphere which characterizes Glostrup Park Hotel. Our compentent employees focus on service and quality, based on our mission: to be the best – and be recognized for it. The location is perfect: close to the motorway and only 10 minutes drive to Copenhagen City Centre and all the attractions. Copenhagen Airport is reached within 25 minutes and the Bella Centre in only 20 minutes. The hotel is situated next to a park – ideal for jogging, cycling, walks or other outdoor activities. All rooms have ensuite bathrooms, free WIFI, telephone, flatscreen TV with various programs, hair dryer, cofee & Tea making facilities and minibar. Our lobby area has a real fire place. Our staff is friendly, helpful and multilingual. 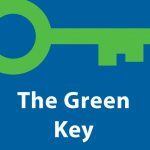 The Green Key Certificate is our guarantee that we put the environment first. Pets are allowed at a small fee. We are looking forward to making your stay a memorable one.